Creating a Personal Brand: Me, Inc.
Canada Logistics Conference 2017 - Learning Sessions - Me, Inc. Success depends on our attitude and on how we choose to face challenges in our personal and professional lives. This workshop will teach you how to adopt a ‘Me, Inc.’ mindset to promote individual and team accomplishments. “The Me, Inc.”, has been presented in over 500 cities and is one of Canada’s most popular learning workshops. This session is highly acclaimed for its humour, authenticity, and its real impact on attendees’ lives. ​Martin Tremblay has been a leader and a game changer in the retail world for more than 20 years. 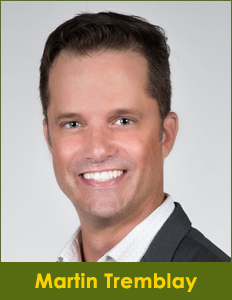 His advanced communication skills and his ability to motivate staff as well as build long term relationships based on trust helped him succeed in many competitive organizations such as Rogers, TELUS and Best Buy. Described as an authentic and enthusiastic communicator, he delivers personal and professional life-changing learnings with humour and ease to audiences of all kinds.